At Innovative Dental Technologies we realize that time is our most precious resource. How we utilize it is important. We also realize that the same is true for many, but not all. 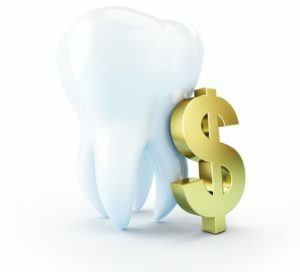 This is why we have implemented an industry leading, sliding fee structure for our crowns, bridges and veneers. Do you want a one week return time? No problem, we have a solution for you. Can you spare a little more time before your seat appointment? Great, we have a solution and slightly lower fee for you. Need it NOW? Just call and we can put a rush on it. In fact many of our best clients utilize our same-day services and are thrilled with the convenient option to make things happen immediately. We know that everyone’s business model and timelines are different so we price accordingly. We have a 1 day, 3 day, 1 week, and 2 week fee schedule. Call us to find out which is best for you. And by the way, we always pay the shipping costs. Both ways. No fuel surcharges, no shipping or delivery fees. Send the case digitally directly through our site with the SEND CASE icon at the top or download a shipping label (using the same icon) and attach it to a small flat rate U.S. Postal Service Priority Mail box. It’s just another way that we try to set ourselves apart from our competition.